Last week, Shawn Michaels and The Undertaker teased “one more match.” It was exciting, intriguing, and a little concerning. The segment may have just been a tease by the WWE. However, there have been reports that state an in-ring return is possible. But for the sake of the wrestling business, Shawn Michaels needs to stay retired. If any wrestling fan states that there is not one part of them that wants to see Shawn Michaels wrestle one last time, he/she is lying. And if they are not lying, they do not know a great deal about professional wrestling. The WWE Hall of Famer’s track record and impressive physique are good signs that he could still steal the show if he decided to step back in the ring. That combined with the plethora of dream matches available, one cannot help but get excited thinking about a return. However, the Heartbreak Kid has something many in the wrestling business wish they could have, and that’s a perfect ending. In 2010, Wrestlemania 26, he retired when he lost to The Undertaker in a classic ‘Mania main event. Fans were emotional, but when the dust had cleared, and they reviewed what had just happened, they realized just how special that night was. Not only did the man many consider the greatest performer of all time retire, but he bowed out on the biggest stage, against the perfect opponent, and while he could still perform at the highest of levels. Shawn Michaels career ending match is a rarity in this business. One of the common jokes amongst fans is wrestlers never staying retired. It’s one of the unfortunate parts of the wrestling business, especially when we think of greats like Ric Flair, Hulk Hogan, and Mick Foley. Too many times we have seen nostalgia wear off and superstars tarnishing their legacies with lacklustre performances. As much as fans have this desire to see their favorite wrestlers perform forever, they do not want those same wrestlers performing at less than one hundred percent. This retirement theory is still a part of the business today, and I have heard from wrestlers firsthand as they share stories about fans questioning whether they can stay away. For the last eight years, Shawn Michaels has not only honored his word to the fans and stayed retired. He has become a symbol for fellow professional wrestlers and fans. He is the man who proves the theory wrong because we can now point to a superstar who has stayed away. 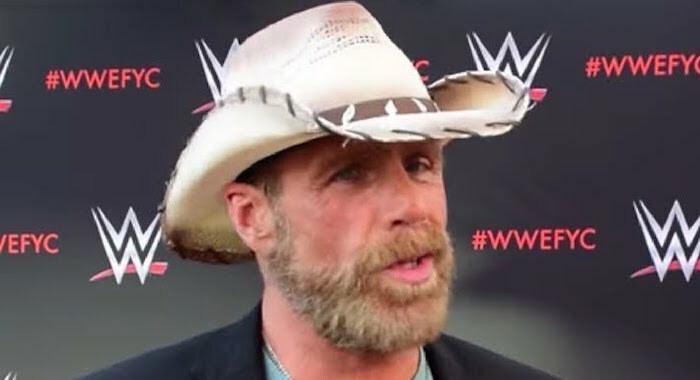 There have been reports that HBK could have a tag team match at WWE’s next Saudi Arabia show, and while it would be fun, Shawn needs to avoid the big stage and quick payday. His retirement is not just a great story, it’s a rare story, and it has become a symbol which needs to be eternal.